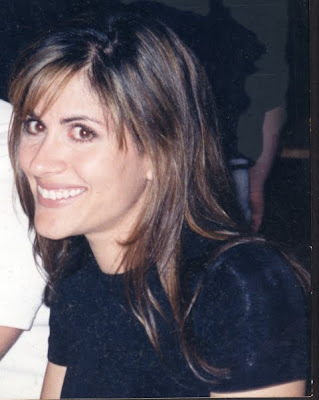 I've been following makeup artist Diane Aiello on Twitter for quite some time. I love seeing what she's up to in the makeup world! So of course I was thrilled to have the choice to feature her on The Beauty of Life. Read on to discover the makeup artist who inspired her, the foundation she can't live without and so much more. I am originally from New York but my family moved to Phoenix when I was in grade school. Growing up we always visited New York in the summer and I was hooked. I moved back to NYC as an adult and worked in the industry for a few years doing makeup. As a child I loved nothing more than pouring over my mom's magazines and looking at all the makeup and fashion spreads. My mom was an Avon lady back when they still went door to door and I would sneak in her bathroom and put on makeup before school. I remember standing there and blending and blending so no one would notice ... but I was 6 years old so I am sure everyone noticed. From there I always had a fascination with makeup. I was the girl that always wanted to do my friends makeup and wasn't afraid to try any color of the rainbow on myself, thankfully it was the 80's and that was perfectly acceptable. During college I worked in a salon as a receptionist and soon after quit my criminal justice studies and went to cosmetology school ... the rest, as they say, is history. When I was first starting out, Phoenix was a big destination for a lot of European and NY clients to come to for shoots. I assisted a few New York artists on those shoots and saw such a different perspective from what was going on locally and it really helped me to hone my skills and refine my eye for how the camera sees makeup. I had done a few jobs with Joanna Schlip years ago and have attended some of her workshops. I love her style, as well as Sharon Gault, who is also amazing. There are a few products I just can't live without. I love Face Atelier foundation and Becca shimmering skin perfector and cream blush. The combination of the three create a flawless fresh look on the skin. 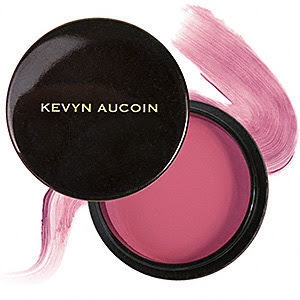 I also love Kevyn Aucoin cosmetics and Make Up For Ever. 1) When you are buying AND applying foundation, bronzer or blush, always check it in natural lighting. Don't trust the fluorescent drugstore or department store lighting. 2) I had one employee that never blended lipliner and it always looked so dated ... so If you use lipliner, always blend with a brush before applying lipstick or gloss to soften the line. And for everyday, match your liner to your lips instead of the lip color -- unless you are wearing deep or bright colors like red or the latest trend fuchsia. 3) I love to add a hint of shimmery champagne or vanilla colored shadow in the inner corner (above the tearduct) to brighten the eye. It adds just a little extra oompb without adding a lot more makeup. There is really nothing better than making someone feel good about the way they look. The right makeup can really transform the way a person sees themselves and give them confidence. I also love teaching and mentoring younger artists because I think so many new artists get very stuck in one way of doing things especially if their background is coming from a makeup counter. Being a makeup artist must be fun -- but what do you do when you're not playing with makeup? For the last three years I owned a beauty boutique and spa called Glam Lounge, so I really had no free time, but we just closed the brick and mortar store to do all mobile/on- location services so I am learning to take advantage of the downtime and do all the things I love. [I'm] getting back into yoga, collecting vintage clothes again, and spending more time with my husband! To follow Diane on Twitter, click here.